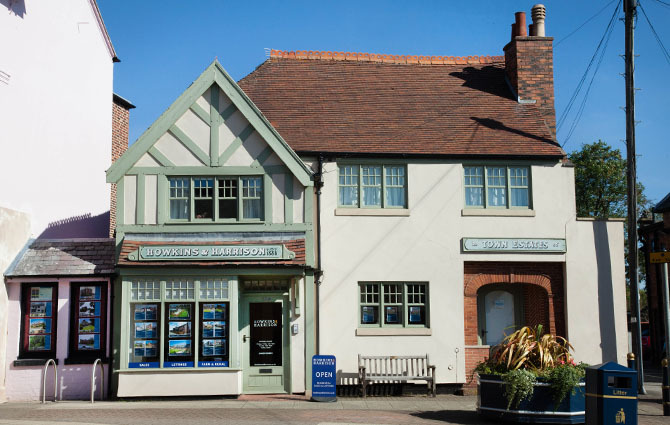 Our office in the small market town of Lutterworth is located at the top of the High Street, ideally positioned to serve the rural areas of south Leicestershire. There is a public pay and display car park at the back of the office, if you need directions please just call the office. The office opened in 2010 and our in-house team here work mainly with property to sell, buy or let within Lutterworth as well as the villages between Hinckley and Rugby along the A5 corridor within Leicestershire. We can also introduce you to colleagues at our Rugby office, who work with commercial property, farm & rural, auctions, and planning & development. Situated between Rugby and Leicester, the small market town of Lutterworth is ideally positioned adjacent to junction 20 of the M1. The town was granted its market charter in 1214 and continues to hold a market every Thursday selling a variety of items from fruit and vegetables to clothing. Historically, the town is known for its links to the work of jet engine pioneer Sir Frank Whittle. And there is a spectacular statue of a Gloster E28/39 plane in the middle of one of the main roundabouts leading into Lutterworth as a tribute to Sir Frank Whittle. Lutterworth itself is home to 2 primary schools and 2 secondary schools, all with very good reputations. Some of the surrounding villages making up the catchment areas include Wlloughby Waterleys to the north, Husbands Bosworth to the east, Claybrooke Magna and Ullesthorpe in the west and Swinford and Cathorpe to the south. The main local employment site is the industrial site of Magna Park, with its big brand warehousing, distribution and office buildings. But with the area being to the side of the M1, Leicester, Northampton and beyond are a car ride away. The area has some beautiful attractions and facilities, including Kilworth House with its hotel and outdoor theatre, Stamford Hall, host to many events throughout the year, as well as parks, outdoor pursuits centres and many more.